Plant sources of protein are sustainable and good for the planet because they are less resource intensive than animal proteins. 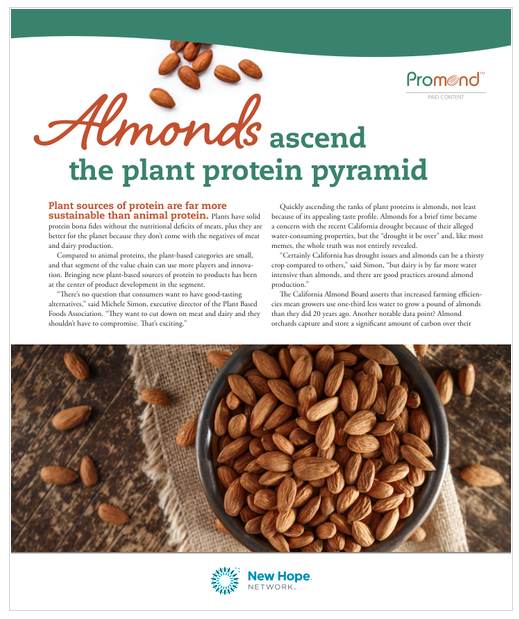 Quickly ascending the ranks of plant proteins are almonds, not least because of their appealing taste profile. While for a brief time almonds became a concern with the recent California drought because of their alleged water-consuming properties, the “drought it be over." In our latest download we reveal the whole story about almonds.